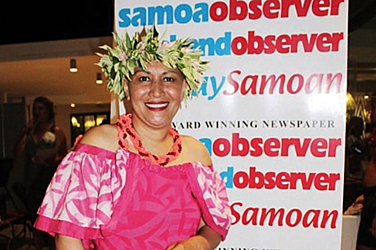 Manamea Apelu-Schwalger, the face of Samoa’s Pinktober and the fight against cancer, has passed away. She died peacefully on Sunday. Manamea, a former Miss Samoa and Miss South Pacific, is being laid to rest this morning at her family’s homestead at Tanumapua. It is a private ceremony attended only by family members. Manamea played a leading role in getting the Government to agree to paint the Apia Clock Tower pink last year as part of Pinktober. “Now that we are done with Pinktober, I’m not going to stop my work,” she told the Samoa Observer at the end of the campaign. Manamea is survived by her husband, Alan Schwalger and their children. Full coverage of her funeral in tomorrow’s Samoa Observer.